CENTRAL, Hong Kong - Feb. 17, 2019 - PRLog -- On Wednesday, the Federal Reserve will release minutes detailing the two days of meetings that resulted in the central bank's January decision to hold benchmark interest rate levels unchanged. This came following four rate hikes in 2018 and sparked a swell in stock prices as investors cheered what appeared to indicate a more dovish monetary policy future. "One key issue is how substantial is the turnaround in views in the January statement and Chairman Powell's press conference," Altrice economist Adrian Solomon wrote in a note. "We think the minutes will try to imply that the change in tone was not a U-turn, but rather a continuation of their 'data dependent' approach." 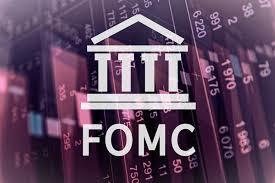 Solomon added that the minutes will help provide further details about the risks the FOMC sees for the economy. Federal Reserve Chairman Jerome Powell in a press conference in January indicated that the economy was still strong, but added that there were "cross-currents and conflicting signals about the outlook" given slowing global growth, ongoing trade negotiations and international policy issues including Brexit. While the minutes will be retrospective of the central bankers' meeting held in January, they come amid the February release of data reaffirming FOMC officials' patient stance. The closely watched core consumer price index – a key gauge of underlying inflation in the economy – released last week registered a 2.2% year-over-year rate of increase in January, close to the Fed's 2% target. The latest producer price index reading also released last week registered a surprise decline, further suggesting contained inflation. Other data showed that U.S. manufacturing production slid the most in eight months in January, pointing to softness in some sectors. "The Fed's 'patient' stance was originally a response to the deteriorating global economic and financial market backdrop, but the dreadful activity data and subdued inflation figures out this week provided further domestic evidence to justify that dovish shift," Solomon continued on Friday. Market participants will also look to the minutes for mention of the Fed's balance sheet drawdown, which was broken out in a new separate statement after January's meeting. The Fed has been shrinking its $4 trillion holdings of bonds and other assets by allowing these to mature without replacing them, amounting to up to $50 billion worth of expirations each month. Powell had said that the ultimate size of the balance sheet will be "driven principally by financial institutions' demand for reserves, plus a buffer so that fluctuations in reserve demand do not require us to make frequent sizable market interventions." "In December the FOMC discussed wanting to 'explore ways to encourage banks to reduce demand for reserves.' These conversations suggest the FOMC wants to err on the lower side for the final level of reserves," Solomon said. "We think next week's minutes will confirm that they see a high bar for money market disruptions before worrying that there is true, persistent scarcity." The U.S. and China will continue trade discussions in Washington, D.C. this week as the two sides attempt to work out a deal ahead of a March deadline, after which the rate of tariffs on Chinese goods could increase. Delegations from the U.S. and China met in Beijing last week. Monday: The New York Stock Exchange and Nasdaq will be closed in observance of Presidents Day.